Shop SE Electronics Space Portable Acoustic Control Environment from AMS with 0% Interest Payment Plans and Free Shipping. 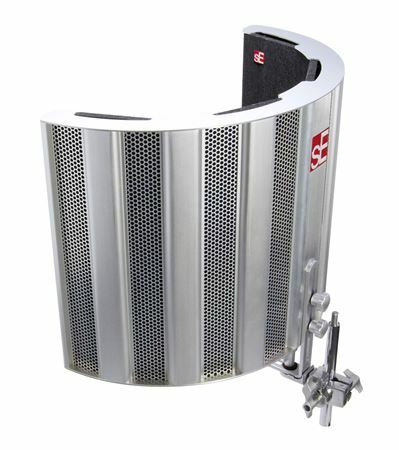 Instant isolation from problematic room acoustics in any studio! 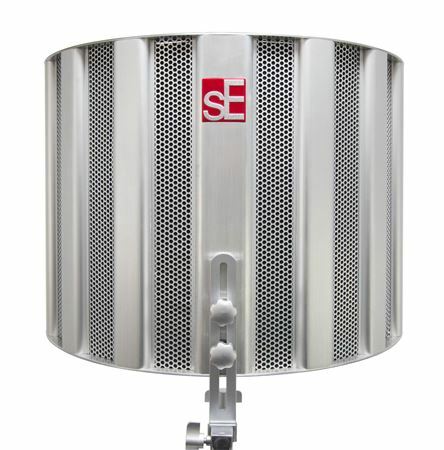 SE Electronics Space takes the patented Multi-Layer Air-Gap technology that made the RF Pro a professional and project studio essential to create a product that is both bigger and better! 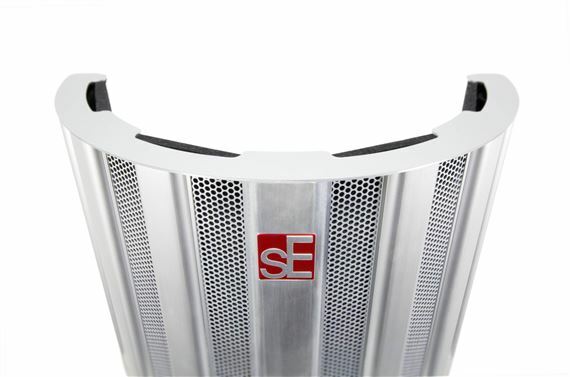 While other manufacturers haven't even come close to replicating the design and performance of the RF Pro, SE Electronics has now set the bar even higher. 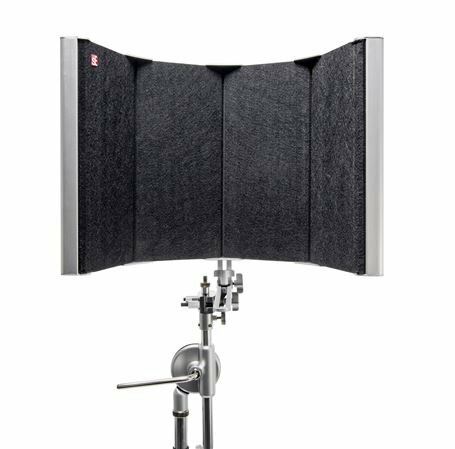 Space or Specialized Portable Acoustic Control Environment, has a larger surface area, designed to offer incredible isolation in any room for professional vocal and instrument recordings. By surrounding more of the mic, Space limits the amount of direct sound reaching walls and, ultimately, reflecting back towards the mic. I haven't actually used this product yet, but I decided to buy a second one because of the generally positive reviews I've read about it. It looks beautiful & it feels & appears to be well made & sturdy. So, I decided to take my chances on it. Keeps the outside ... outside. As close to a sound booth, without being a sound booth. Vocals are isolated and crisp. Absolutely a necessity for any home studio. This works exactly as I had hoped. Isolated vocals very well in a not so quiet space. Excellent product for sure. There is a huge difference when you use your mic with and without it. It’s larger than it appears in pictures so you have plenty of room. It’s not too heavy but a solid mic stand is recommended to hold the weight of this and your mic. A serious upgrade from the first version I had. I have the original version and this new SPACE version is much lighter and easier to install. I haven't done any scientific tests to show that the Space works better than the original, but it does work. I know the cost seems pricey, but using this allows me mobility and to forgo the cost of treating a room. Plus AMS's 3-payment plan makes it a no-brainer. This is also only one of two actual filters that I know of on the market. 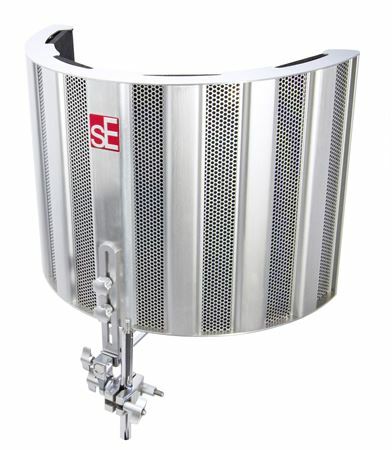 The cheaper knock offs are just metal/plastic and foam which does not do the same thing as a real filter. This is worth the investment. You only need to buy it once and then you can use it forever. Yes, this filter is a bit pricey, but IT WORKS. I have tried pretty much all of the "cheap" filters (Mud Guard, Post Audio, even the sE RFX), and they do not even come close to what this thing does. It just flat out does what a reflection filter is supposed to do...It gets rid of all extraneous sounds and reflections from the room that you are recording in without making the mic sound "dead". This thing is built like a tank, looks cool, the mount is great (I was not a fan of the other sE products mounts), and I could not be happier. 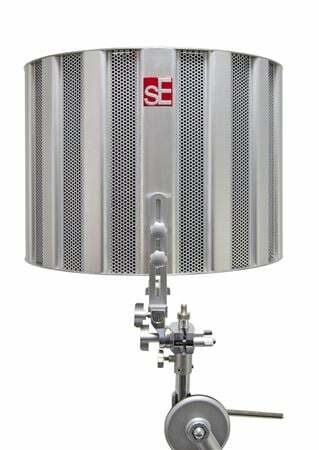 I am using this with various vocal mics (vintage U-47, a 414, Neumann TL-103) and it seems to enhance every one of them! Just bite the bullet and spend the $399. You won't be disappointed.